Along with the newer technologies, more established renewables in wind and solar also witnessed further cost reductions – 10% and 18% -- creating more pressure on more traditional forms of energy generation. BNEF’s "benchmark" levelised cost of energy (LCOE) for lithium-ion batteries now stands at $187/MWh, while offshore is below $100/MWh. "Our analysis shows that the LCOE per megawatt-hour for onshore wind, solar PV and offshore wind have fallen by 49%, 84% and 56% respectively since 2010. 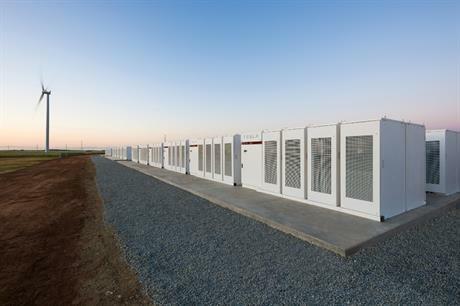 "That for lithium-ion battery storage has dropped by 76% since 2012, based on recent project costs and historical battery pack prices," said Elena Giannakopoulou, head of energy economics at BNEF. Giannakopoulou added the rapid fall in prices was the result of economies of scale, competition and manufacturing experience. As is widely accepted across the industry, the introduction of competitive tendering has been the major driver for falling offshore wind costs – which is now translating to material savings in LCOE. Giannakopoulou said: "The low prices promised by offshore wind tenders throughout Europe are now materialising, with several high-profile projects reaching financial close in recent months. "Its cost decline in the last six months is the sharpest we have seen for any technology." The LCOE for onshore wind has reached $50/MWh, with solar PV narrowly above that at $57/MWh. These figures are on par with Windpower Monthly’s analysis from February 2019. According to BNEF’s latest report, by co-locating the technologies, wind, or solar, plus storage is now competing with coal and gas generation often unsubsidised. Co-located sites can now also compete with open-cycle gas turbines for meeting daily demand peaks, BNEF noted. "Solar PV and onshore wind have won the race to be the cheapest sources of new ‘bulk generation’ in most countries, but the encroachment of clean technologies is now going well beyond that, threatening the balancing role that gas-fired plant operators, in particular, have been hoping to play," said Tifenn Brandily, energy economics analyst at BNEF.